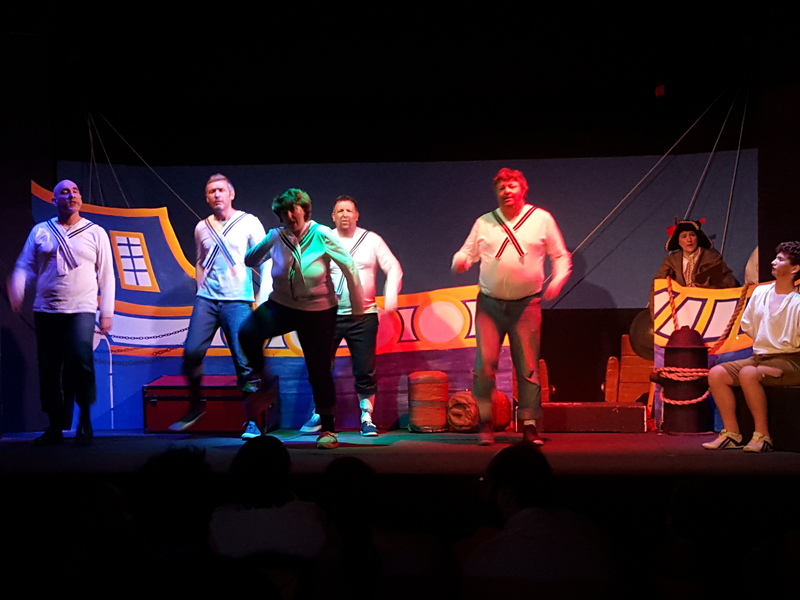 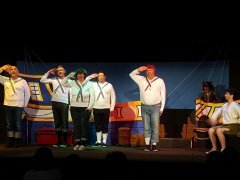 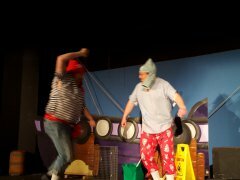 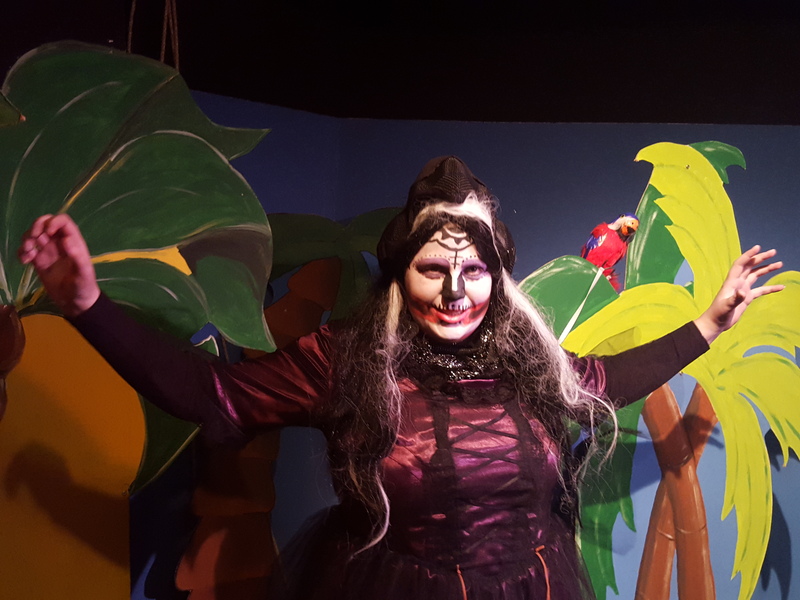 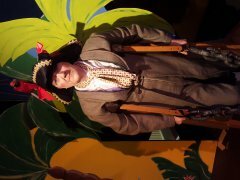 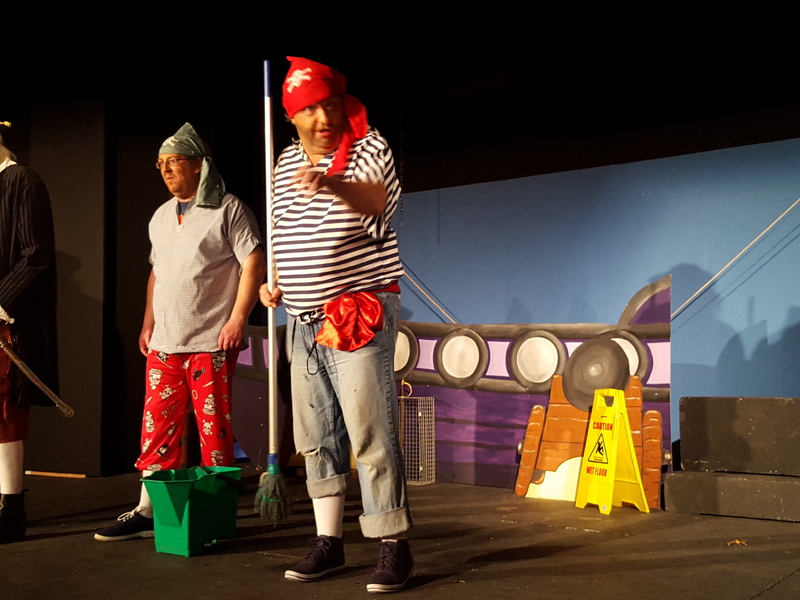 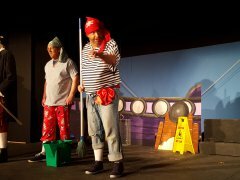 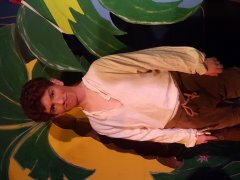 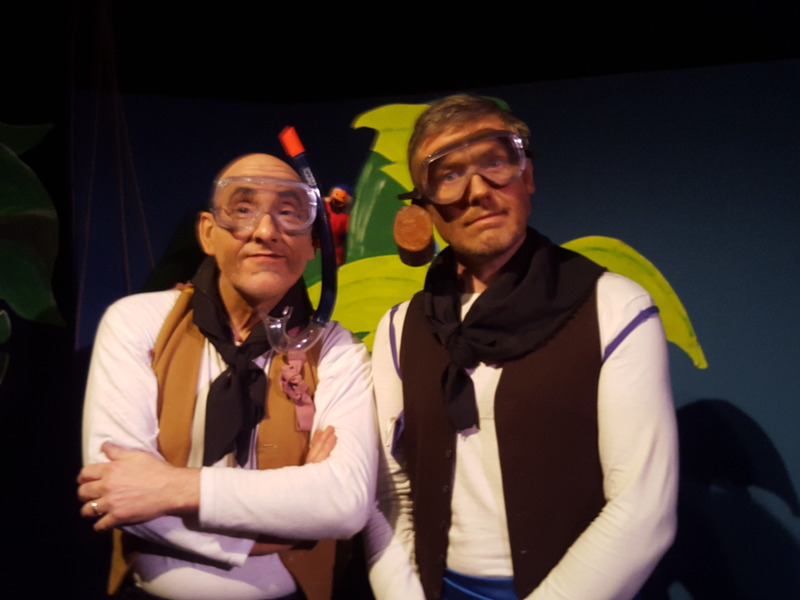 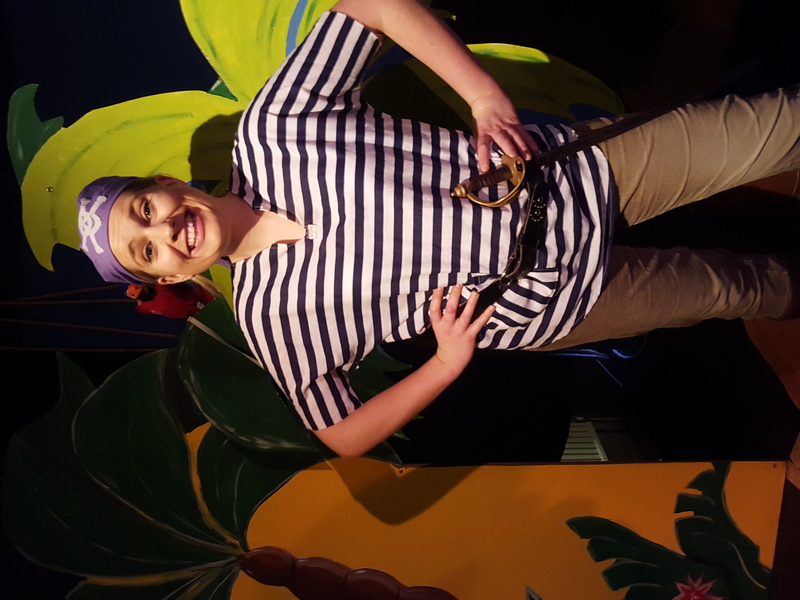 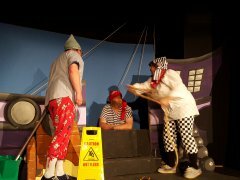 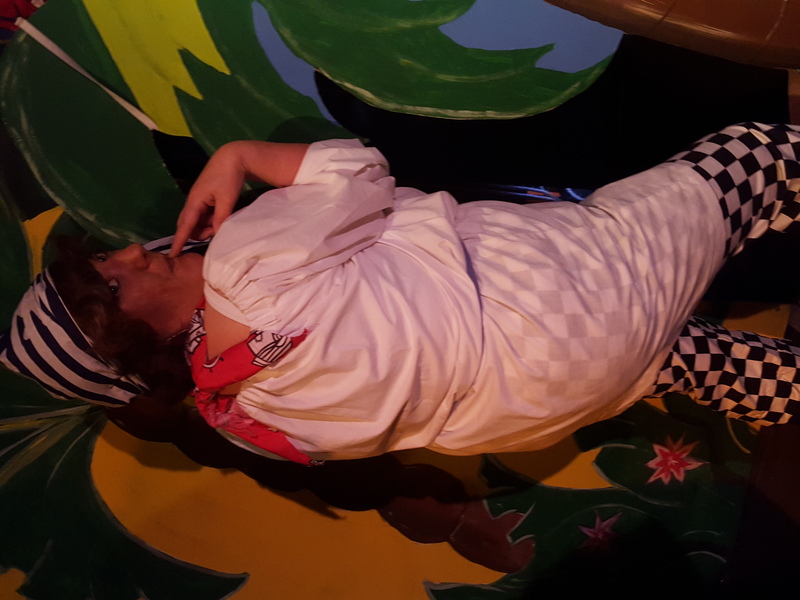 Pirates, Parrots and Panto ! When Robi Crusoe sets off on his big adventure he saw fame and fortune beckoning. 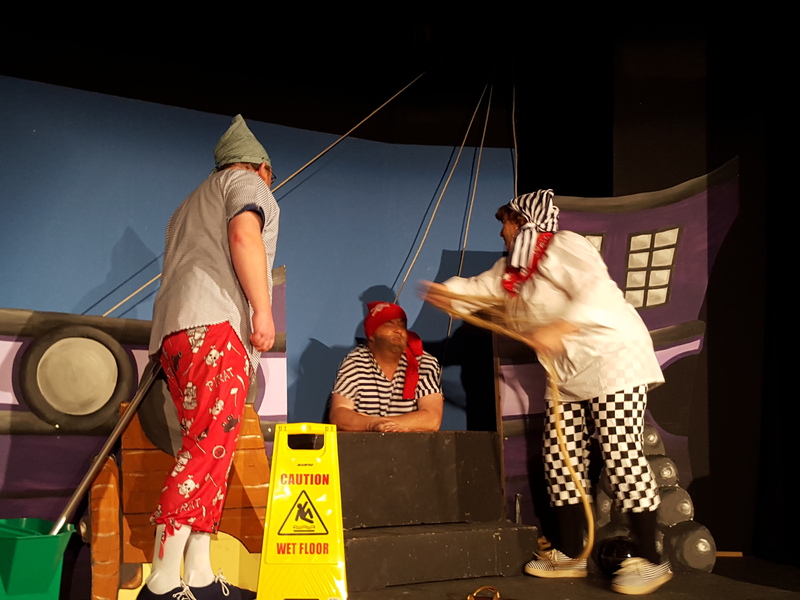 What he didn’t see were the muddled pirates, purple witch and ninja parrots! Nor did he discover till much later that the greatest treasure of all would cross his path several times before he recognised her. Panto should be all about strange lands and even stranger characters. Step aboard the Pompous Poppinjay and search them out whilst trying to avoid the Purple Pig captained by Slither Liplicker. If you can’t afford a luxury cruise then maybe one of May’s Vests will do the trick.